The ability to retrieve information from long-term memory allows you to use memories to make decisions, interact with others, and solve problems. Although there is a tremendous amount of research, we do not know exactly how information is actually organized in long-term memory. However, there are several different theories on how long-term memory is organized. A basic theory of the organization of long-term memory is hierarchies. The hierarchies’ theory contends that long-term memory is organized through a hierarchical arrangements of concepts. Concepts may represent physical objects, events, attributes, or abstractions. These concepts are arranged from general to more specific classes. Also, these concepts can be simple or complex. With hierarchical arrangements, pieces of information are associated with each other through meaningful links from general to specific types of things. 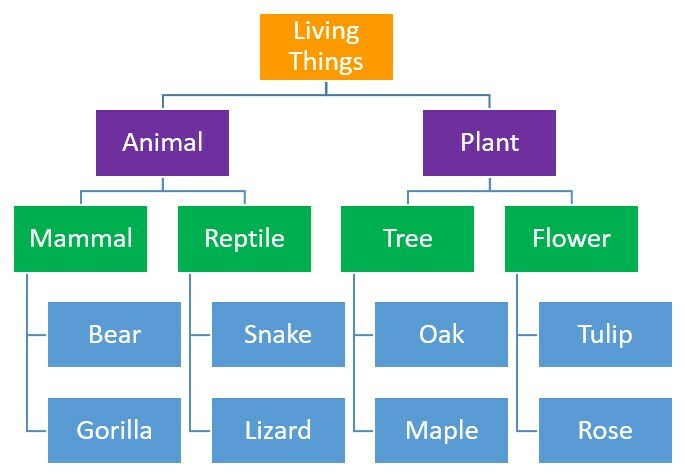 For example, both animal and plant would be classified under “living things” since they are both living things. Tree and flower would be sub-classifications under plant because they are both plants. Oak and Maple would be sub-classifications under trees. Sub-classifications can keep going as they get more specific. The semantic networks theory contends memory is organized in a network of interconnected concepts and certain triggers activate associated memories. These networks are loosely connected conceptual hierarchies linked together by associations to other concepts. A semantic network is comprised of an assortment of nodes. Each node represents a concept. These conceptual nodes are connected or linked according to their relationship. For example, flower may be connected to both rose and plant nodes by the semantic association. Although it has similarities to hierarchies, semantic networks are more random and less structured than true hierarchies. They have multiple links from one concept to others. Concepts within semantic networks are not limited to specific aspects. For example, the concept of tree can be linked to oak, maple, bark, limb, branch, leaf, grow, fruit, plant, shade, climb, wood, and other concepts. 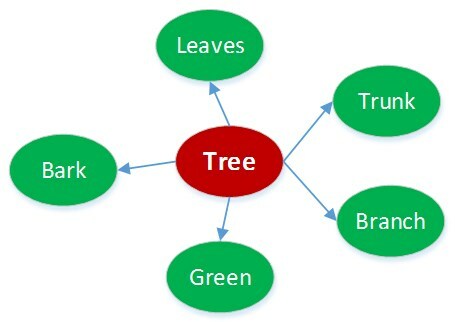 These concepts in semantic networks are connected based on the meaning and relationships that you have learned through experiences. For example, thinking about your grandparent’s house might trigger memories of celebrating holidays, attending dinners, or playing in the backyard. New memories are formed by adding new nodes to the network. Information needs to be linked to existing networks memory. Therefore, new information is placed in the network by connecting it to appropriate nodes. However, if information is not associated with existing information it is forgotten. Schemas are organized mental representation of information about the world, events, people, and things. A schema is a data structure for representing generic concepts stored in memory. A schema reflects a pattern of relationships among data stored in memory. It is any set of nodes and links between them in the web of memory. Schemas form frameworks of mental concepts established from patterns of already stored information. These clusters of information that reflect your knowledge, experience, and expectations about various aspect of the world are stored in multiple locations throughout your brain. These frameworks allow you to organize and interpret new information. New memories are formed by adding new schemas or modifying old ones. These frameworks start off very basic, but get more and more complex as you gain additional information. One of the most recent theories of the organization of long-term memory is Connectionism. The theory of connectionism, also referred to as Parallel Distributed Processing or neural networks, asserts that long-term memory is organized by a connectionist networks. In a connectionist network, information is stored in small units throughout the brain with connections between units or nodes of neurons. The human brain contains billions of neurons. Many of them connect to ten thousand other neurons. Together they form neural networks. 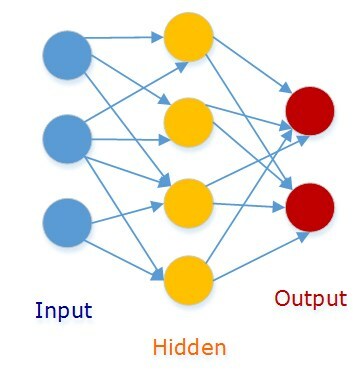 A neural network consists of large number of units joined together in a pattern of connections. Each unit or node depicts a neuron or a group of neurons. A neural network is made up of three layers of units: An input layer, a hidden layer, and an output layer. Input layer – receives information and distributes the signal throughout the network. Hidden layer – serves as a connection with other units. Output layer – passes information to other parts of the brain, which can generate the appropriate response in a particular situation. 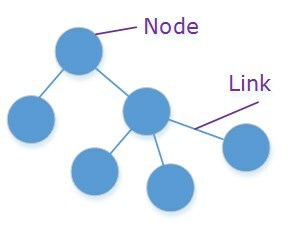 In a connectionist network, there is a collection of units or nodes where each node represents a concept. Connections between nodes represent learned associations. Activation of a node will activate other nodes associated with it. Connections between nodes are not programmed into the network. Rather, the network learns the association by exposure to the concepts. Several of these neurons may work together to process a single memory.